A Turntable Friend Records has announced the forthcoming ‘Magical Thinking’ EP from Liverpool-based The Room in the Wood. Comprised of Paul Cavanagh and Dave Jackson, the duo shall present their debut EP digitally on April 20, followed by an 11-track album, to be released later this spring on vinyl, CD and digitally. This is the first time Paul Cavanagh and Dave Jackson have worked together since their post-punk band The Room split back in 1985. Reunited under the moniker The Room in the Wood, this past year has seen them write over 30 new songs. This new material has been an exciting voyage of musical exploration in a new fruitful and prolific tandem. They’ve rejected as many songs as they’ve kept for these two releases. Together with collaborator and ace drummer Colin George Lamont, they’ve developed and honed these ideas down to 14 tracks with three included on the ‘Magical Thinking’ EP. and the remaining 11 appearing on the coming LP. This batch of songs combine Jackson’s lyrical storytelling with Cavanagh’s exquisite guitar-stylings and make for a diverse collection that blends post-punk pop, gritty blues-folk, and velvety ballads, variously influenced by Russian fairy tales, Francis Bacon, dead oceans, swimming pool bridges and unanswered prayers. This is eerie space-folk meets bluesy-glam-punk – an eclectic mix of styles, prioritising melodic storytelling and lots of strum and twang. The lead track ‘Magical Thinking’ was influenced by The Fall, the post-punk sensibility of their 80s roots, and the desert blues of Tinariwen & Songhoy Blues. “Magical Thinking is a bit of a tongue in cheek rant about the weird stuff people believe in to get them through their days. Though the lyrics might come from a ‘spiritually unaffiliated’ standpoint, I wonder where we would all be without our collective storytelling abilities, dream logic, mass hallucinations and dogged determination to make 2 plus 2 add up to 5,” says Dave Jackson. The Room in the Wood was recorded with Steve Powell (Michael Head & the Red Elastic Band) at his Liverpool Arc studio and features contributions by drummers Colin George Lamont (Mark Lanegan, Dave Gahan) and Jake Woodward (Peter Perrett). Dave Jackson has been writting and recording since his teens in bands such as 051, The Room, Benny Profane, Dust, Dead Cowboys, under his own name with former Shack guitarist John Head, and as Dave Jackson & The Cathedral Mountaineers. He has recorded and released 10 albums with these various incarnations and, during the eighties, notched up seven John Peel sessions with The Room and Benny Profane, in addition to appearing on the Whistle Test, Janice Long and Saturday Live. Jackson has also toured extensively in the UK, Europe and the USA with bands such as The Fall, The Violent Femmes, Aztec Camera, The Lemonheads and The Wedding Present. He currently teaches creative writing at Liverpool John Moores University, having developed his novel ‘Violet City’ as a low-budget fantasy feature film. Guitarist Paul Cavanagh has played with Chinese Religion, The Balcony, Ludus, The Room, Top, It’s Immaterial, Gloss and Moongoose. He has performed as a solo instrumentalist as Cabin in the Woods and as one of Mike Badger’s Shady Trio. Paul also worked with former Room drummer Alan Wills at Deltasonic Records, with acts such as The Coral and The Zutons, as well as managing The Basement. Paul has toured in the UK, USA, and Europe and recorded four John Peel sessions as well as releasing albums with The Room, Top, It’s Immaterial, Moongoose, in addition to several critically acclaimed singles with Gloss. Paul’s guitar influences include Tom Verlaine, Bert Jansch, John Fahey and Tinariwen. Dave’s songwriting inspiration includes all the greats – David Bowie, Lou Reed, Tom Waits and Mark E Smith. 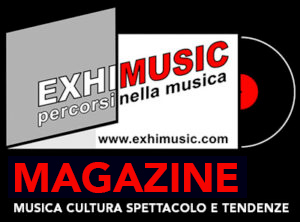 A Turntable Friend Records is a truly independent record label of the past (1990-1999) and the future (2017-x), currently in its second life. Based in Germany with distribution through SRD (Southern Record Distributors)and Rough Trade, their mission is to keep vinyl alive while casting light on sonic gems of yesteryear and today. 1990s peers of Sarah Records and Slumberland Records but far from copying their style, ATF Records always had their own musical identity, allowing for a roster as diverse as Secret Shine, Boyracer (with Even As We Speak), The Claim, The Ropers, the Hellfire Sermons and Lorelei. The most recent releases come from Bradford, Easy and Dose. 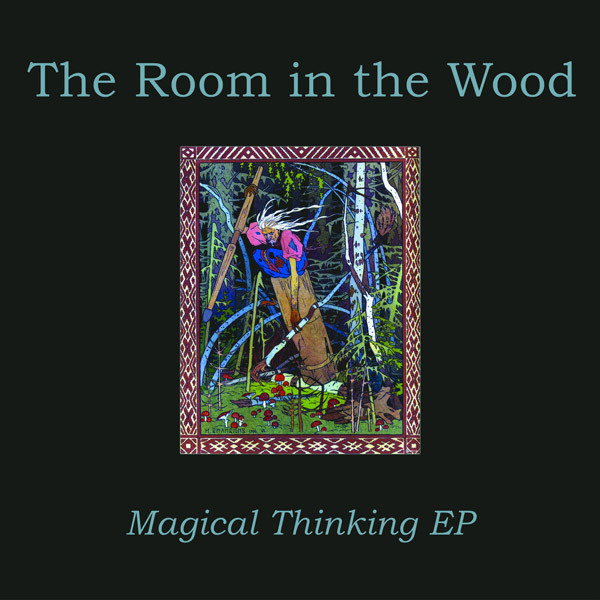 The Room in The Wood ‘Magical Thinking’ will be available exclusively as a digital download as of April 20. It can already be pre-ordered via the label’s Bandcamp.